Imagine being on vacation out of state. You look up and your child has gone missing. What steps do you take during this time of panic? 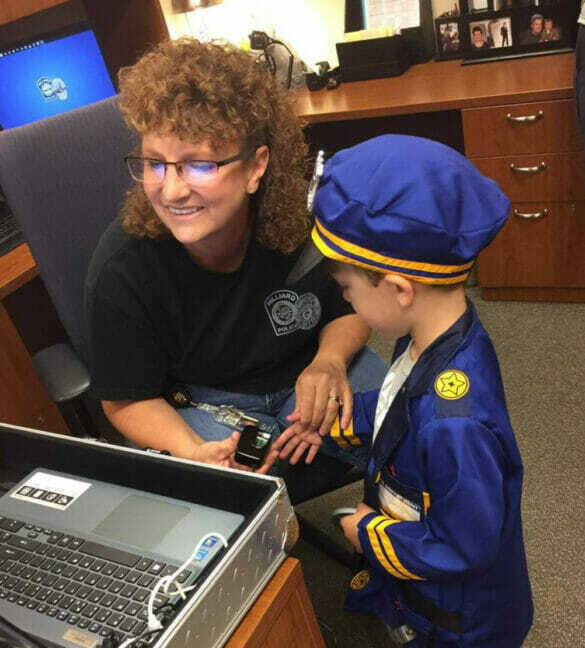 The Hilliard Division of Police is once again offering a safety tool for parents to be prepared if a child goes missing. The EZ Child ID kit includes vital information required to find a child — fingerprints, photos, and the child’s name, age, height and weight — all linked to a free app on your mobile device. Information on the app can be emailed to police directly from your mobile device, saving precious time in the event of an emergency. The kit was purchased through a generous grant from the Hilliard Community Foundation and Advanced Drainage Systems (ADS). Two sessions are available in April for parents and guardians to attend with your child. Registration takes about 10 minutes, depending on the age of the child. The first session will be held Saturday, April 6, from 8 to 11 a.m. at the Safety Services Building, 5171 Northwest Parkway, Hilliard. The second session will take place Tuesday, April 9, from 4 to 6 p.m. at the Hilliard branch of the Columbus Metropolitan Library, 4500 Hickory Chase Way, Hilliard. The service is available to residents of the City of Hilliard, Norwich Township or Hilliard City Schools.